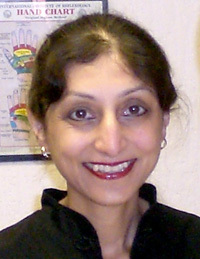 In 1999 I became interested in complementary therapies after having a reflexology treatment. In 2000 I trained at Wolverhampton College to gain a Diploma in Holistic Therapies and became a member of the Federation of Holistic Therapists. Since then I have gained qualifications in Indian Head Massage, Hopi Ear Candling, Reiki, Infant Massage Training and advanced reflexology. In 2006 I became interested in the power of the mind and began to study hypnotherapy with the London College of Clinical Hypnosis. After 2 years of intensive training I gained a practitioner diploma in clinical hypnosis. I have worked at the practice in Bradmore, Wolverhampton since 2002, initially for Sarah Jones and since 2011 for myself. I have also worked for Sandwell Hospice at Home service delivering complementary therapies to patients with cancer in their homes. Now since 2013 I work 1 day a week at New Cross Hospital delivering complementary therapies to cancer patients at any stage of during their treatment and recovery. This work has given me the skills and knowledge to work safely and confidently in this area. As well as my therapy work, I have worked for over 20 years as a healthcare assistant on the renal unit at New Cross Hospital and in the past with physiotherapists and community dieticians. I am very dedicated to my work as a therapist/reflexologist and feel privileged everyday to be doing this work. I am married, live in Wolverhampton and in my spare time I enjoy walking, yoga, spending time with my family and cruising around the world.